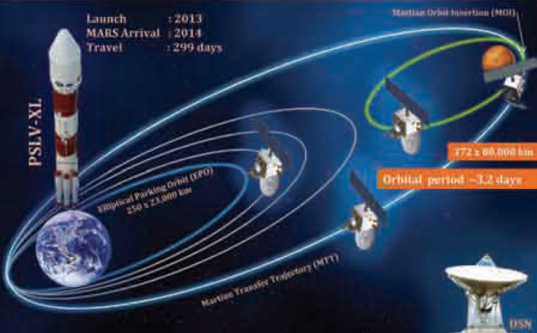 India's Mars Orbiter Mission (which I refuse to shorten to "MOM") has been much in the news in Asian media over the last week as a result of the release of ISRO's Annual Report 2012-2013 (PDF). The 130-page report concerns all of the Indian Space Research Organisation (ISRO)'s activities; the Mars Orbiter Mission is discussed within the Space Sciences section, beginning on page 68. I am posting below the entire content of the section concerning the Mars mission. The images are of poor quality, but there's nothing I can do about that; it's how they appeared in the PDF. Before I do that, though, I'll mention that ISRO and NASA issued a joint statement from Washington a week ago endorsing interagency cooperation in the space sciences, to wit: "Building on NASA’s collaboration in India’s highly successful Chandrayaan-1 lunar mission in 2008, NASA and ISRO agreed to explore further cooperative space exploration work, including future missions to the moon and Mars. To this end the CSJWG agreed to continue discussions in planetary science and Heliophysics to identify areas of potential cooperation." Also worth mentioning is that American astronaut Sunita Williams is touring India this week, touting space exploration and encouraging India's forays into the solar system. 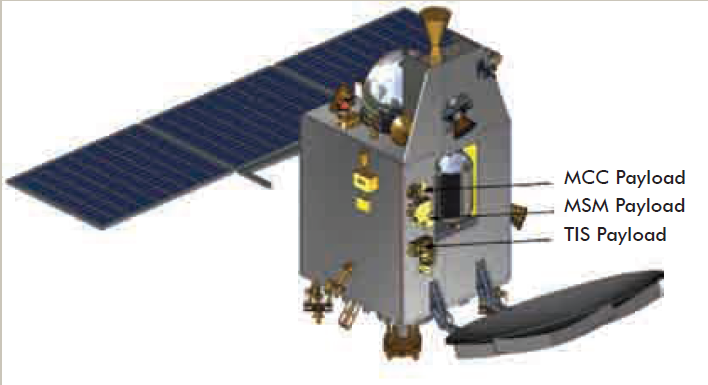 Mars Orbiter Mission is ISRO’s first interplanetary mission to planet Mars with a spacecraft designed to orbit Mars in an elliptical orbit of 372 km by 80,000 km. Mars Orbiter mission is India’s next challenging technological mission out of the Earth’s gravitational field. The major demands will be critical mission operations and stringent requirements on propulsion, communications and other bus systems of the spacecraft. The primary driving technological objective of the mission is to design and realize a spacecraft with a capability to reach Mars (Martian transfer Trajectory), then to orbit around Mars (Mars Orbit Insertion) which will take about nine months time. Yet another technological challenge is to realize related deep space mission planning and communication management at a distance of nearly 400 million km. The polar Satellite Launch Vehicle PSLV will be used to inject the spacecraft from SDSC, [Sriharikota] in the 250 X 23000 km orbit with an inclination of 17.864 degree. As the minimum energy transfer opportunity from Earth to Mars occurs once in 26 months, the opportunity in 2013 demands a cumulative incremental velocity of 2.592 km/sec. This satellite will also carry compact science experiments, totaling a mass of 15 kg, as listed in the table below which has been reviewed and selected by Advisory Committee for Space Sciences (ADCOS). 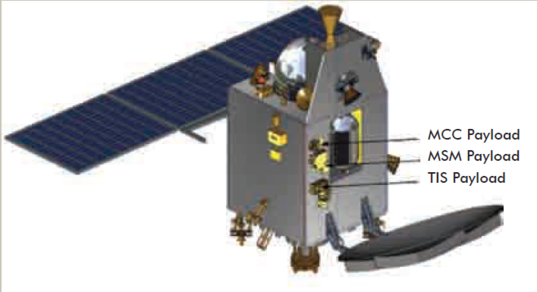 The deployed view of the spacecraft configuration indicating the scientific payloads is shown below. Preliminary Design Reviews of all the spacecraft systems and payloads have been completed. The structure has been delivered to clean room and the propulsion system integration is in the final stage. 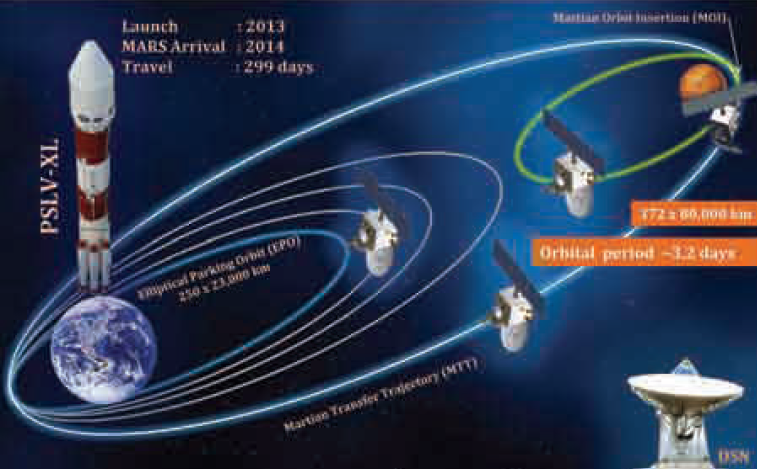 All payloads are in the advanced stage of development and expected to be delivered for Integration by March/April 2013. The ground segment elements at Indian Deep Space Network (IDSN) at Byalalu and S- band sea-borne terminals are getting geared up for the mission. That's it. 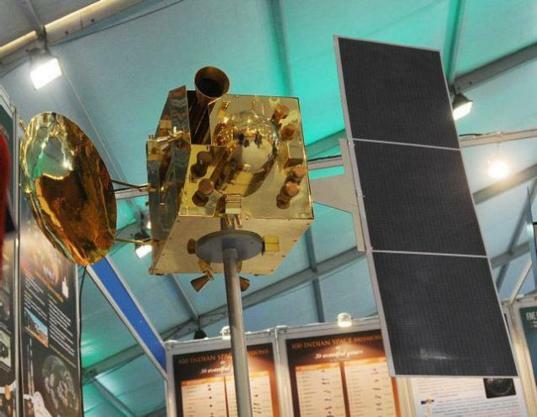 The Report also contains updates on Chandrayaan-2 and on the development status of their GSLV, a heavy-lift launch vehicle. Nice n brief info. I hope that it'll be a success as chandrayan-1. Making india 4th to aproch mars successfully. Hoping to see more ambitious inter planatery as well as maned missions. Good luck ISRO.